DO I QUALIFY FOR THE O VISA? You are here: Home / VERDIN News / DO I QUALIFY FOR THE O VISA? For the truly extraordinary foreign national, the O visa offers a good option for coming to the United States. The O visa is reserved for people who possess extraordinary ability in the sciences, arts, education, business, or athletics, or who have a demonstrated record of extraordinary achievement in the film or television industry and have achieved national or international recognition for their successes. The term “extraordinary ability” has different meanings under the law depending on the field of endeavor. For those in the sciences, education, business, or athletics, it means that the person has a level of expertise demonstrating that he or she has risen to the very top of the field. This can be demonstrated in one of two ways. 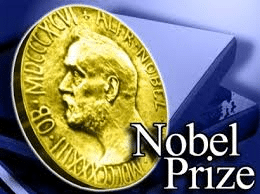 First, receipt of a major internationally-recognized award, such as the Nobel Prize, Pulitzer Prize, etc., will qualify. Alternatively, the applicant must demonstrate at least 3 other qualifying factors from a list provided by the government, which includes things like major publications about the applicant’s work in the field, authorship of scholarly articles in professional journals or other major media within the field, or a high salary for the applicant’s services. Other comparable evidence is acceptable as well. In the field of arts, extraordinary ability simply means distinction. In the television and film industry, extraordinary ability means extraordinary achievement demonstrating a degree of skill and recognition significantly above that ordinary encountered such that the person is recognized as outstanding, notable, or leading within the industry. For those in the fields of arts, film, or television, winning or being nominated for a major award such as an Oscar, Emmy, Grammy, or Director’s Guild Award will qualify. Alternatively, the applicant can demonstrate at least 3 other factors such as critical reviews and other published materials about the applicant in major magazines, newspapers, etc., high salary for the applicant’s services, or a history of performances in a lead, starring, or critical role in distinguished productions or events. Other comparable evidence is also acceptable.